Posted: Tuesday, December 6, 2016. 12:03 pm CST. Posted: Tuesday, December 6, 2016. 12:01 p.m. CST. By BBN Staff: Yesterday marked the start of the new sugar crop to be ready in the next six months. However, according to cane farmers the future of the 1.3 million tonnes of sugar is up in the air. According to the farmers, if they start the crop too late it could run into the rainy season thus ruining the quality; if they start the crop too early it could run into the dry season thus reducing the sucrose quality. According to farmers, this year’s crop started around the same time last year’s crop started. However, the major difference is the weather. This year’s weather conditions appear a bit drier when compared to last year’s when it rained much and delayed transportation of the cane to the factory because of poor road infrastructure. While farmers remain hopeful for optimal weather, there is growing panic. 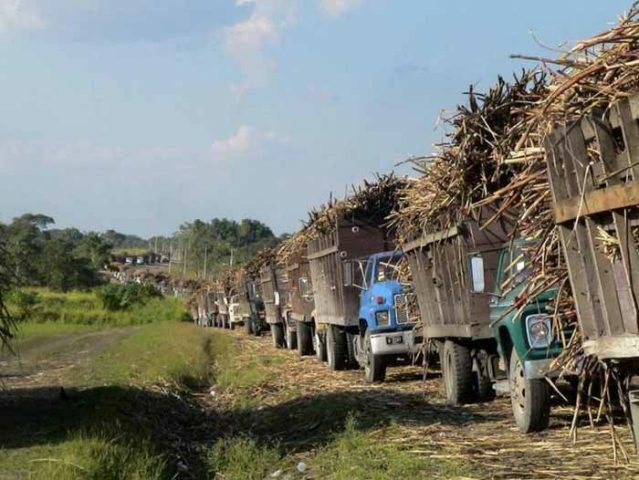 According to reports, cane farmers will no longer receive preferential treatment for their sweet produce and will be forced to compete head on with other sugar producing companies.